When the BBC decided to bring back Dr. Who, a whole new generation of kids got bitten by the Time Lord bug.
. . . My kids were no different, and so we decided to make a TARDIS. 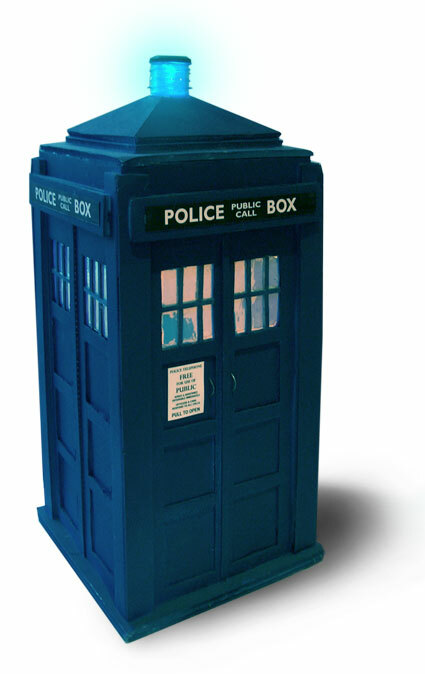 For anyone who doesn’t know what this is, a TARDIS is a time machine in the shape of an old Police Telephone Box (much bigger on the inside than it is on the outside!). For all those who thought Bill and Ted invented time travel in a call box, Dr. Who first came to TV in 1963, over 40 years ago. But then 40 years is just a blink of an eye to an immortal from another galaxy, and so the magic of Dr. Who is the same now as it ever was.
. . . To make your TARDIS you really need to use foamboard, and to finish it off a flashing LED, but these are not big hurdles, because you can easily and cheaply buy both on-line from various merchants.
. . . Print out the graphic sheet and decide what size you want to make your TARDIS (there are three sizes of graphics available). 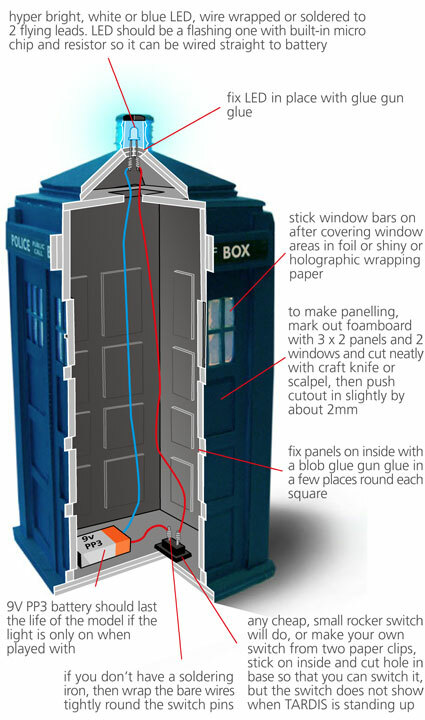 I used the largest graphics which made a TARDIS about 360mm high with a cross section square of about 150mm x 150mm. Make the dream come true; well nearly. Once you have made your model you can make it even more exciting by taking a photo of it and super imposing you kids on or by the model. To do this you will need some image retouching software and a bit of practice, so this is not for everyone. However, if you can do this sort of thing, it doesn’t take long and isn’t that difficult. All you have to do is take a close up photo of the model at the right angle, and then with the same lighting take a picture of your children as if they were interacting with a full sized version of the model. Then cut out your children (but leave them in their setting) and arrange them onto a new image layer, then cut out the image of your model and drop it in to the picture of your children, in between them and their background. 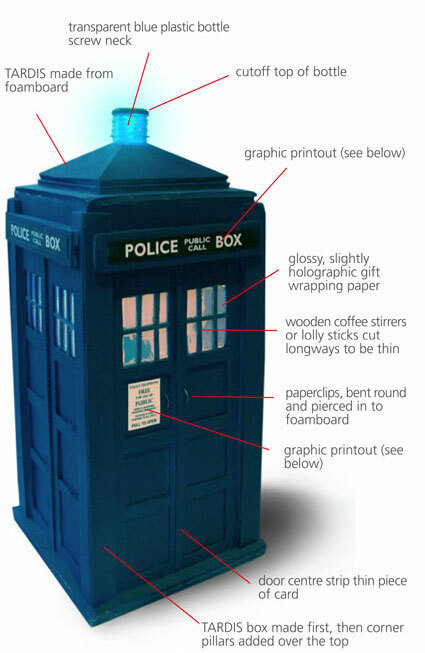 If you want a really authentic look, draw some shadows on to the picture, and hey presto… in this case a real TARDIS. Print it out and use as a postcard or party invite.